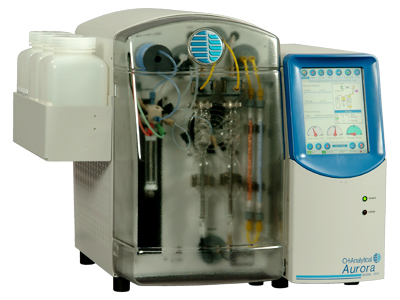 Using heated persulfate oxidation technology, samples containing 2 ppb to 30,000 ppm of organic carbon can be analyzed. The Aurora 1030W supports USEPA-approved methods, Standard Methods, ASTM, DIN/ISO/CEN, USP, and EU Methods. Depending upon the protocol employed, up to 300 samples per 24-hour period can be analyzed, and in excess of 100,000 samples per year.